This year’s BETT show in London offered 4 days of inspiration from the world of education technology. What was this year’s Bett Show like for you? 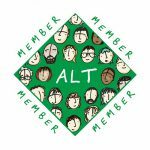 ALT’s Chief Executive Maren Deepwell and Chief Innovation, Technology and Community Officer, Martin Hawksey were there this year and share some of their highlights including how they got involved. “My highlights from the show this year were the Further Education and Skills programme and the Bett Futures area of the exhibition. As a speaker on the Wednesday of the FE & Skills learn live programme I was really interested to see how much more presence this sector had this year. From sharing new initiatives or best practice to discussing policy like FELTAG I felt that there was far greater presence across the board than in previous years. With so much pressure on providers from all sides it is encouraging to see many discuss how Learning Technology can help meet some of the biggest challenges we are facing, promote learners’ success and highlight the need for effective support and professional development for teachers and trainers. Open courses like Blended Learning Essentials, which I was talking about, can help with upskilling staff across an entire institution. “I’m unashamedly interested in new and ‘shiny’ developments particularly from the Higher Education sector. Saying that my day started at the Bett Arena listening to Sugata Mitra talking about ‘Schools in the Cloud’. 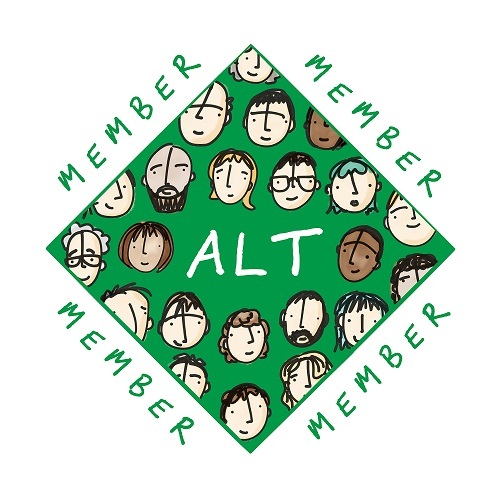 I first heard Sugata speak at the ALT Annual Conference 2010 and his post on the Self Organised Learning Environment (SOLE) School Support Pack on the #ALTC Blog from 2012 regularly tops the most read list. Part of Sugata’s talk was on obsolescence highlighting as new technology emerges previous skills disappear, his example being we’ve gone from coachmen, to driving our own cars, to the possibility of driverless cars. As part of this Sugata suggested that: “Reading, writing and arithmetic should be de-emphasised and replaced with comprehending, communicating and computing”. Sugata acknowledged that the 3Rs are for many “sacrosanct” and I personally find it an interesting challenge to consider what education would look like if emphasis was placed in other areas. I don’t by the way have an answer but perhaps you would like to share your own views in the comments.